The spaceship has returned to its home planet and the crackerbox is empty. What about Apple’s proprietary base station features? 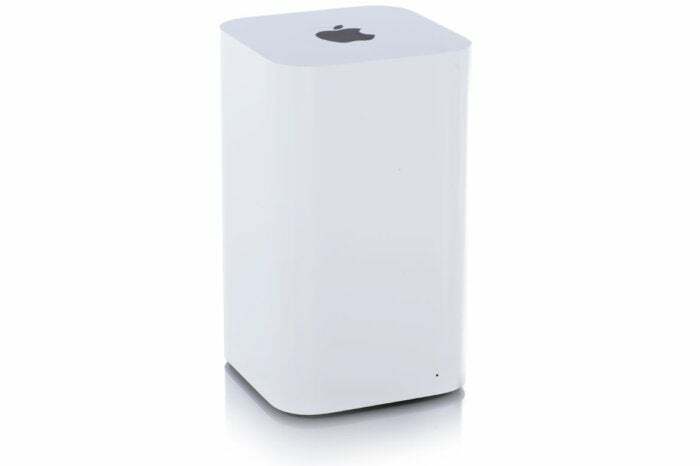 Having helped usher in simple-to-use Wi-Fi networking in 2000 with its futuristic-looking AirPort Base Station, Apple has finally confirmed what has been reported since at least late 2016: Its line of AirPort and Time Capsule Wi-Fi gateways is dead. This comes as no surprise, given that the last updates for the AirPort Extreme and Time Capsule models internals came in 2013 (to include the 802.11ac Wave 1 standard), while the compact AirPort Express has remained stuck in 2012. Apple has, however, embedded recent Wi-Fi technology in the radio systems of its computers, mobile devices, and the Apple TV. And the company will continue to sell out its current inventory and, of course, honor its technical support and warranty obligations. 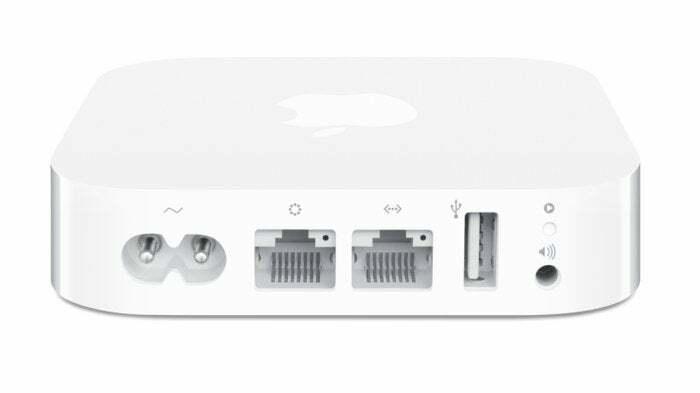 If you’re an Apple household and your home is already full of Apple base stations, you may be concerned about pivoting away and losing features you rely on, or creating a mixed network of Apple and non-Apple routers. You need not be concerned, because you actually have several options, which we describe below. As for losing out on special features, see our section on why Apple's proprietary base station features are no longer relevant. Your router choices can come down to whether you want to sweep everything out of the house and start fresh, or you’re looking to replace or extend an existing network. The best cheap routers have effectively the same features and networking philosophy as the Apple base stations. They’re really a combination of an access point (Wi-Fi management), a router (moving packets around a network and to and from the internet), and an ethernet switch to handle devices that only have wired connections or that work best with a gigabit ethernet connection. Mesh networks, described in the next section, work like gateways, but some lack ethernet switches entirely, and they have extremely robust connections among each other. This is where your budget comes to the fore: It’s easy to drop $300 to $500 on a great, new, multi-router mesh Wi-Fi solution that fills every nook and cranny in a house and never needs to be poked. But you can also spend as little as $100 for a single gateway that could work nearly or completely as well in a more modest single-floor house, apartment, or condo. 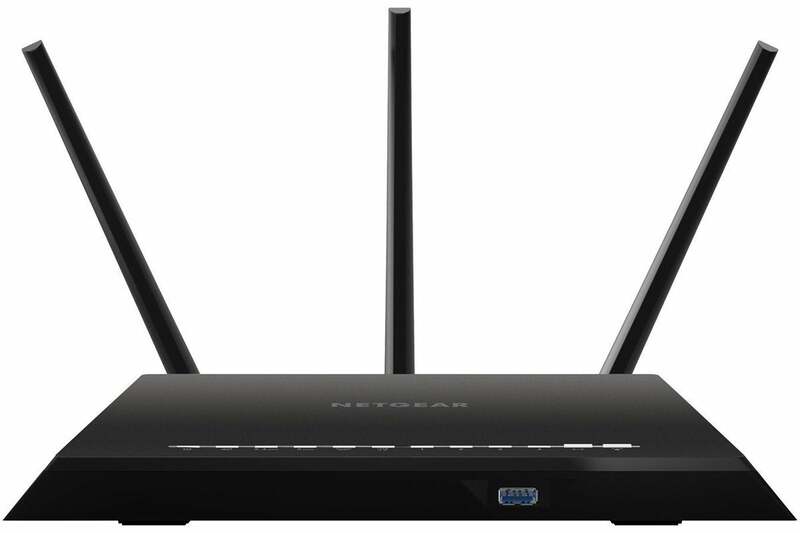 For a single or multiple old-style router network, the Netgear R6700 Nighthawk AC1750($100) offers nearly everything you need in a drop-in AirPort Extreme replacement. You can swap out an AirPort base station and swap this in, and you might not notice the difference. 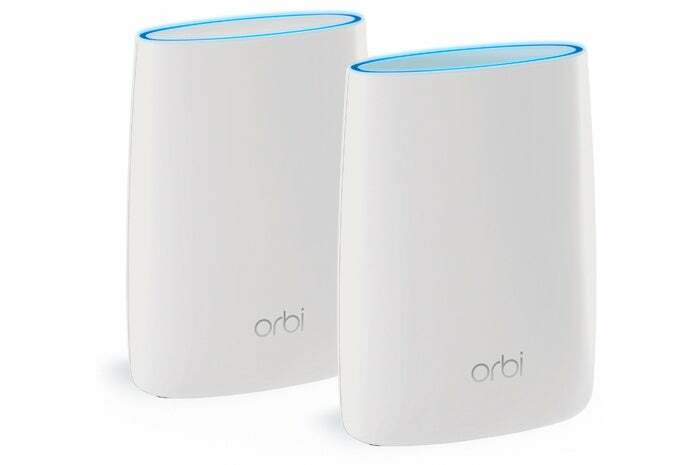 It’s also a good choice for multiple units, due to its cost, or you could find Wi-Fi extenders, which connect via ethernet and are used just to fill out coverage. The R6700 has a USB 3.0 port for hard-drive sharing, a USB 2.0 port for printer sharing, and a four-port gigabit ethernet LAN switch. A drive attached via the router can be used with ReadyDLNA, which allows streaming media from the drive to certain gaming systems and TVs. Unlike Apple’s base station, the Netgear router allows for QoS (Quality of Service) prioritization, letting you elevate audio and video streaming above other data, which improves playback. The R6700 can set up a separate guest-access network. The one proviso here is that we haven’t reviewed the R6700 yet, though it’s received excellent marks from customers and was the previous budget pick by the New York Times’ product review site, Wirecutter. Our sister publication PCWorld has, however, reviewed favorably the Nighthawk R7000, which has a similar feature set, potentially faster throughput, and better speed at a distance.. But it costs about $145. Mesh nodes manage this with multiple radios, devoting one radio to communicating among other nodes, and with proprietary networking systems for node communication. On the Wi-Fi side, it’s all standard and all Wi-Fi devices connect as expected. The use of proprietary intra-node communication means that you can’t mix and match nodes from different manufacturers. Mesh networking systems usually offer help through an app or visual signals (like an LED) about where to place nodes optimally for coverage. If you decide you need more coverage (or, in some cases, better throughput), you can just add more units, and the system reconfigures itself to accommodate them. Some mesh systems rely entirely on a smartphone app, available for iOS and Android, leaving out web-based or desktop app configuration, but others have both smartphone and web app options. Netgear Orbi received our top marks. For $300 you can buy two nodes, a Router, and full-sized Satellite, each of which has ethernet LAN ports (3 and 4, respectively). Or, for the same price, get a bundle with the Router model and two smaller satellites, which have an integral AC power plug but no ethernet ports. Linksys Velop offers better throughput through its radio design. For $340, a two-node package can blanket many houses; a three-node bundle is $450. The units include two gigabit ethernet jacks under their bases, one of which has to be connected to a broadband modem on one of the nodes. TP-Link Deco M5 is our budget pick, with less throughput but only costing $230 for three nodes. Competition has dropped the prices of some of the leading mesh systems, and it’s likely the price will drop somewhat further, but with our top pick at as little as $100 per node and our budget at about $80 per node, it’s not likely to drop as much as prices have already in the last couple of years. From Apple’s introduction of the original AirPort until just a few years ago, its base stations were often the best on the market, even if sometimes the most expensive'. However, for Mac users in particular, the gateways had Apple-specific features you couldn’t get elsewhere. The AirPort Extreme has an audio jack for sending music from a Mac or iOS device to a set of speakers using the AirPlay protocol. Printer sharing. Even quite inexpensive printers now include Wi-Fi networking, allowing a completely cable-free connection. And most Wi-Fi routers include USB-based printer support that’s compatible with macOS (although not always with iOS). Network-attached storage. Apple’s attached drive support used to be a big deal when OS X was oriented around AFP, and it was difficult to create networked fileservers except Mac OS X Server or personal filesharing in regular OS X. Apple shifted to SMB for network filesharing, which makes it easier to work with Windows-compatible servers. Standalone NAS drives have significantly better features and performance, and are available at all sorts of prices, not just for caviar budgets. Cloud-based storage and sync services reduce the need for network servers. And streaming and on-demand services have replaced some of the purpose for fileservers that mostly held video. If you still need a router-attached hard drive, most AirPort competitors offer USB-shared drives via SMB. Base station to base station networking. I used to tout this feature as a great way to work around obstructions like walls and ceilings, and while the WDS that Apple used to make it work was an industry standard, only Apple seemed to have mastered it. But it became less and less reliable over time, even as data rates went up by leaps and bounds. I stopped recommending wireless base station interconnection about four or five years ago, and suggest gigabit ethernet (which can require running cable), powerline networking (which works through unmodified electrical outlets), or a mesh network (explained later) that uses a separate radio for connecting base stations. Remote configuration and drive access. Back to My Mac (BtMM) was once a great feature, especially for people with Macs in multiple locations. However, it’s not reliable and not robust, where other remote access tools (like TeamViewer) work with aplomb. It’s rare you’d need to change your base station’s configuration outside of its LAN, and remote-drive access can be accomplished in a lot of other ways, including with many standalone NAS devices. The feature requires an iCloud account to function, and I and many users had our base stations work in a semi-useless mode until we removed the iCloud account from the base station’s configuration. From some users’ accounts, the problem remains. Network punchthrough. NAT-PMP stands for Network Address Translation Port Mapping Protocol. While Apple developed it (in 2005), it wasn’t proprietary: it was submitted as a standard. However, it was barely picked up by any other party. Instead, the computer industry as a whole went for UPnP (Universal Plug and Play). Nearly every base station and networked piece of hardware supports UPnP, as well as multi-platform software like VNC and Plex. AirPort Utility. Apple has long had a leg up by offering a friendly face for Wi-Fi router configuration, especially compared with the web-based administrative frontends for most other devices. Even as Apple added an iOS version of AirPort Utility, it dropped updates for the Windows flavor, locking users into configuring only from Apple hardware. In recent years, router makers have improved their web apps or added smartphone configuration apps. Some systems have very little a user needs to configure, obviating access to dozens of settings, too. Firmware update notification. This remains a big divide between Apple’s base stations and the direct routing competition. 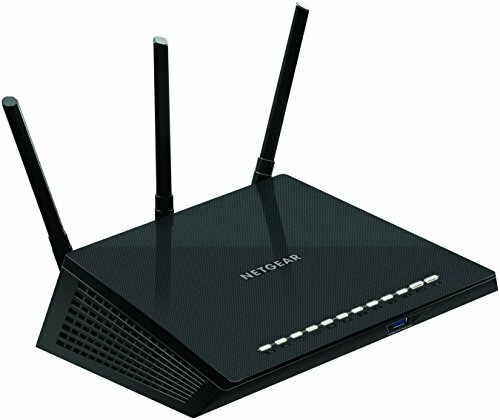 Very few routers notify you when firmware updates appear, and I can’t find any that even let you sign up for a mailing list specific to your router. Apple provides alerts in macOS, and it’s a one-click operation to download and install. More expensive multi-device “mesh” systems automatically push new software to routers or keep most of the intelligence in the cloud. The Time Capsule is a better idea in theory than in execution. Time Capsule. 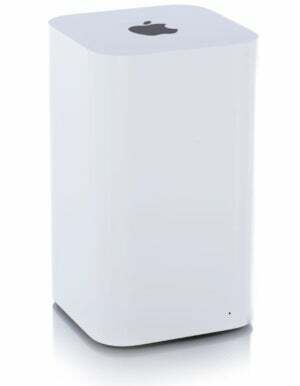 When Apple first released the Time Capsule base station, it seemed like a nifty portmanteau, packing two great features into one box at an affordable price. Over time, Apple boosted capacity substantially. But I haven’t recommended the Time Capsule for years, because the integral drive can’t be removed or managed. If Time Machine backup goes awry in a Time Capsule, your only option is to wipe the entire drive. If the Time Capsule dies, you have to crack open a case not intended to be open, extract the drive, and put it in another enclosure. While I don’t recommend Time Machine by itself, either, using a drive attached to a Mac for networked backups gives you much better alternatives. Or you might already be using a cloud-based backup service. If you still rely on some of the above features, notably printer and drive sharing, you don’t have to give them up, though you might have to reconfigure a device or sort out the best way to make changes. For instance, when I started having trouble with an older HP printer connected via USB to an AirPort Extreme, I went through a settings wizard on the printer that had failed to work for me before, and finally got it to join the Wi-Fi network directly. And unless you plan to dump all your working Apple base stations, you can always keep one or more running in a network for AirPlay audio streaming or printer/drive support if you still need it. Even with Apple long out of the picture, you’re not missing much. 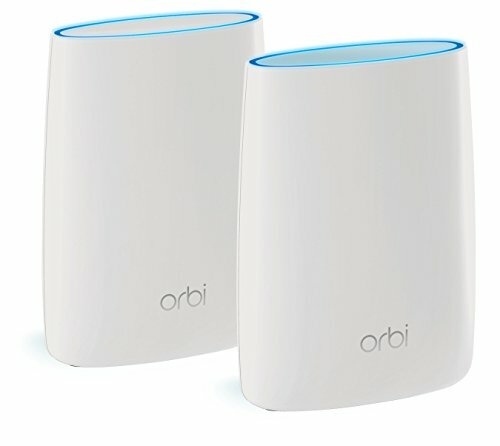 The AirPort base stations unique features have mostly migrated to other devices, and macOS and iOS require less proprietary support than ever before. Mesh is the future, and its cost has dropped into a reasonable range for many households. But old-school routers like the AirPort Extreme continue to be available at affordable prices.